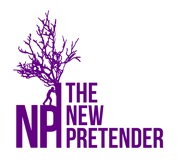 If you have any questions about us and our project please write to newpretender2018@gmail.com or use this form. We would especially like to hear from you if you would like to write an article for us. We request that articles normally be no longer than 2500 words.